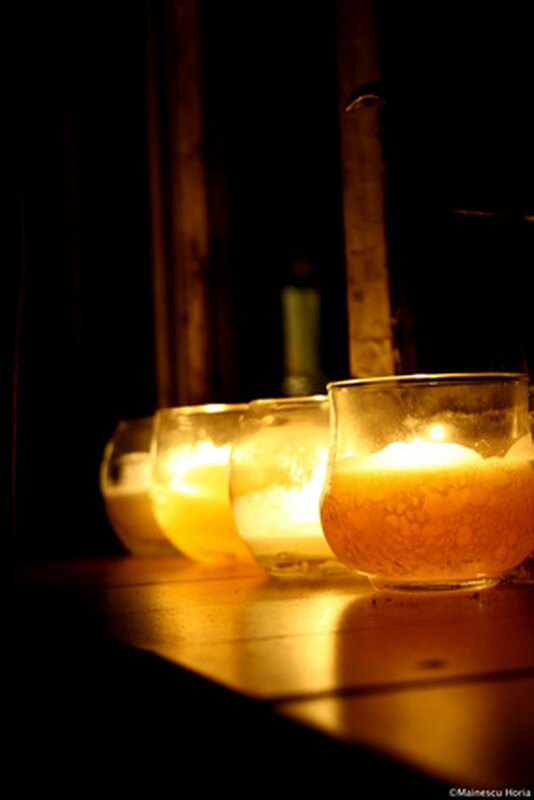 Candle making is an art that goes back to ancient times, when candles were the only source of artificial light. Through the ages, candles have been made with animal fat, beeswax, berries and whale oil, among other substances. In the middle of the 19th century, paraffin wax was introduced as an inexpensive alternative to pricey beeswax. Paraffin wax remains a popular choice for candle making and is just one of a few ingredients needed to create custom candles at home. Candle making is an easy and inexpensive way to add to your home decor. Choose the mold for your candle. Molds can be purchased at arts and crafts stores, or you can use common household items like empty bowls, yogurt containers, cups or milk cartons. Wipe the inside of the mold with olive oil or vegetable oil to make removal of the finished candle easier. Place the molds on newspaper or old baking sheets to catch any wax that may drip or spill. Melt the wax in a double boiler or heavy pot over low heat. You can use paraffin, soy or beeswax for your candles. Heat and stir the wax until it reaches 150 degrees Fahrenheit on the thermometer. Add fragrance or candle dye for color once the wax has melted completely. Ready the wick while the wax melts. You can purchase a wick kit at an arts and crafts store or assemble your own. Cut a piece of wick that is at least as long as the candle mold plus another 2 inches for the knot. Tie and knot one end of the wick around the middle of a pencil. A wooden skewer, dowel or similarly shaped tool would also work. Lay the pencil over the rim of the mold and center it so that the free end of the wick hangs straight down the middle of the mold. Use a piece of tape or putty to secure the loose end of the wick to the bottom of the mold. You can also tie a washer or nut to the bottom of the wick to weigh it down. Slowly pour the melted wax into the mold and around the wick. Gently tap on the mold to help release any air bubbles. Wait for the wax to cool. The candle will shrink slightly as the temperature of the wax drops. Pour more wax into the mold to fill it. Untie the wick from the pencil and cut it so that 1/4 inch protrudes from the candle. Tear the mold away from the candle once it has cooled completely. If a bowl, cup or other non-tearable mold was used, run the mold under hot water until the candle comes loose.